This espionage tale, set in the early 1980s, pits the heroes against each other as part of a multinational team called UNISTOMP. Can these super-spies trust each other and their cohorts' nations enough to save the world, protect their countries' secrets, and learn the truth about the Fat Man? 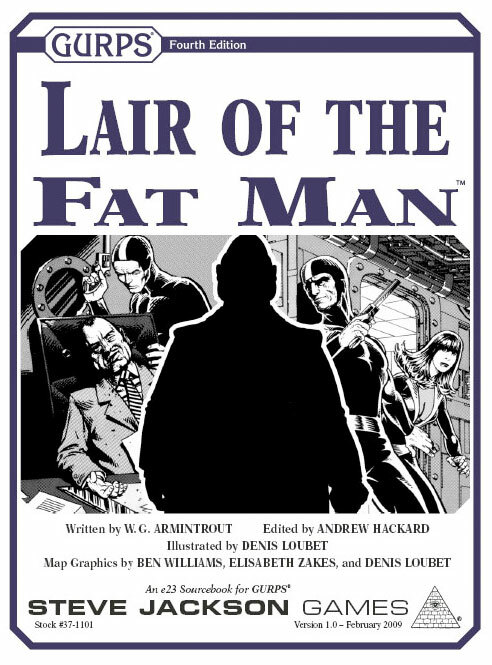 GURPS Lair of the Fat Man is an oddball romp through super-spy cliches, in the style of 1960s espionage films that don't take themselves too seriously.